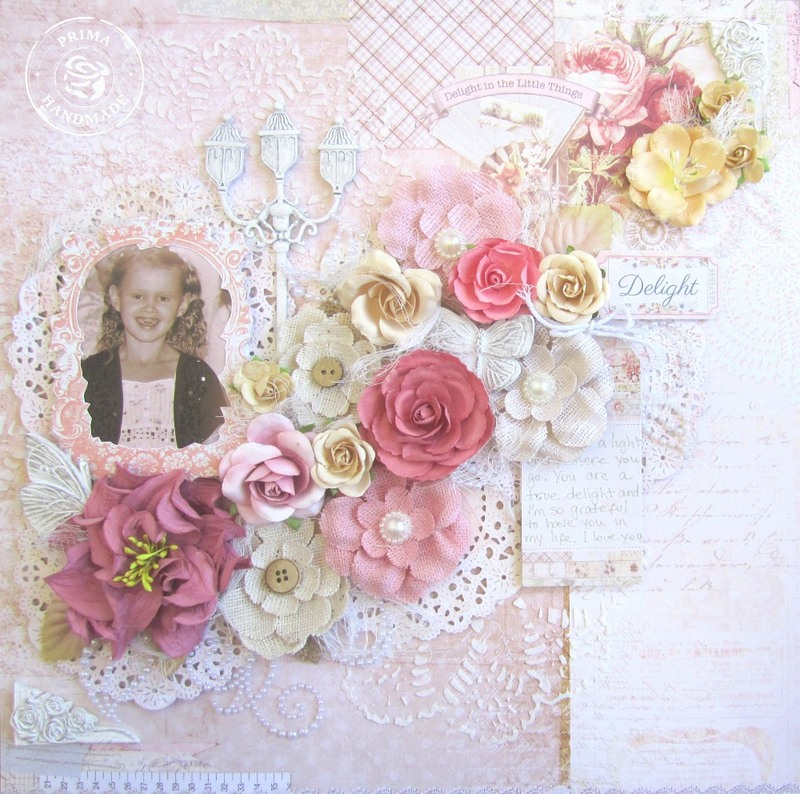 Here is another project I created for CHA using the Delight collection from Prima which is just so magical!! I just love how pretty and delicate it is. Like a little fairy which is perfect for my daughter!! The new butterfly resins are just divine and how could I not add them in this delightful layout. I used many of the new flowers. I especially love the roses. They are so beautiful this year. 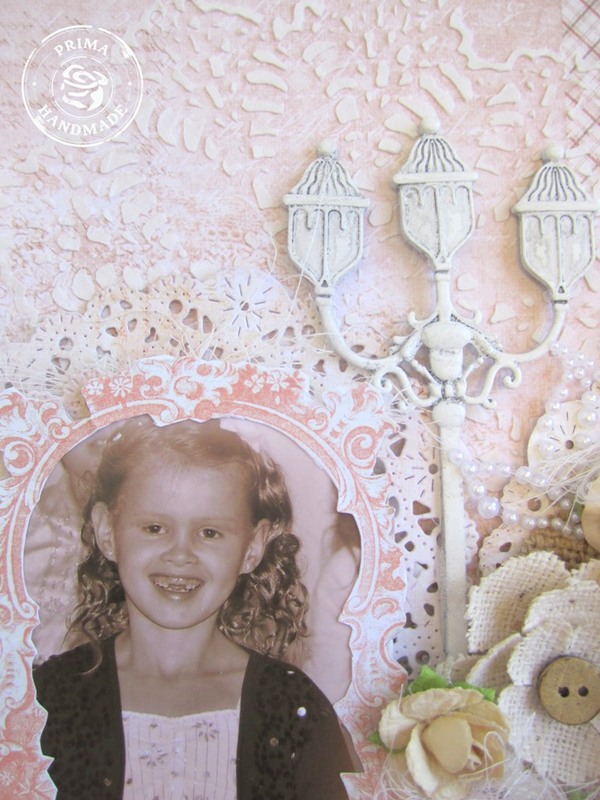 I loved masking the Finnabair doily here. Although most people want to use it with a grunge look. I used it in a Shabby Chic layout. This is gorgeous!! I loveeeeeeeeee the flowers and love love love that lamppost!!! How lovely!! Like the diagonal cascade of blooms! 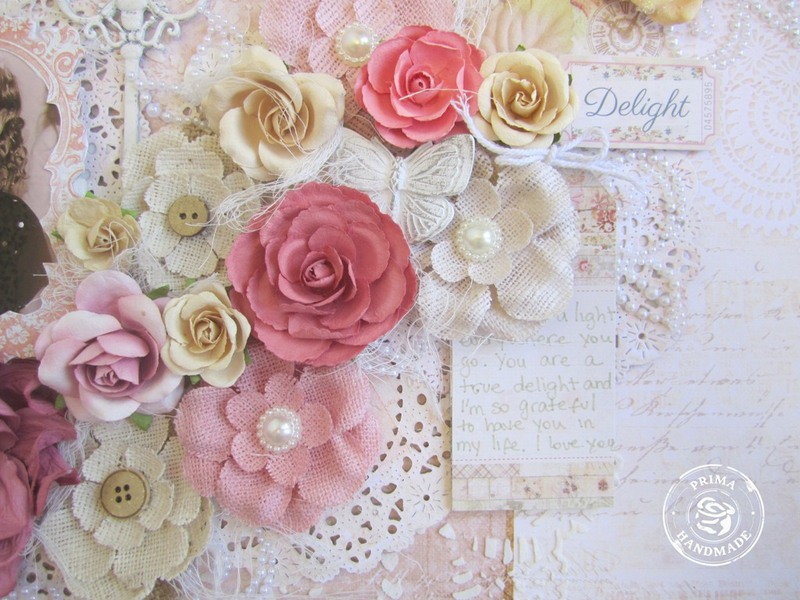 I have just received a couple of packs of Delight flowers – yay! The flowers this year are the best ever for sure!! Gorgeous! love the soft and feminine design. Like I wrote on FB – so Prima, so YOU. This is so pretty, love the colors and love the flow of the flowers down the page like that.. really lovely! Super, sweet layout! 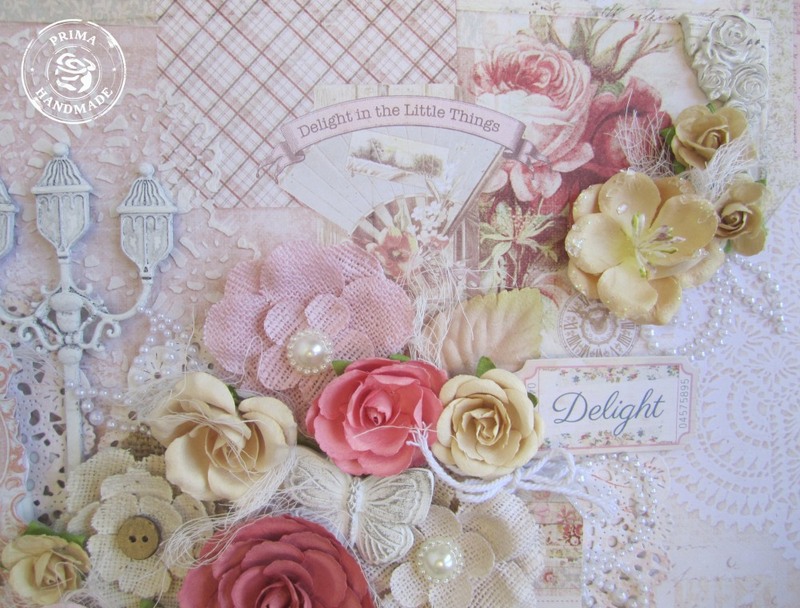 Love that little trail of blooms across the page and gorgeous details! Absolutely stunning. 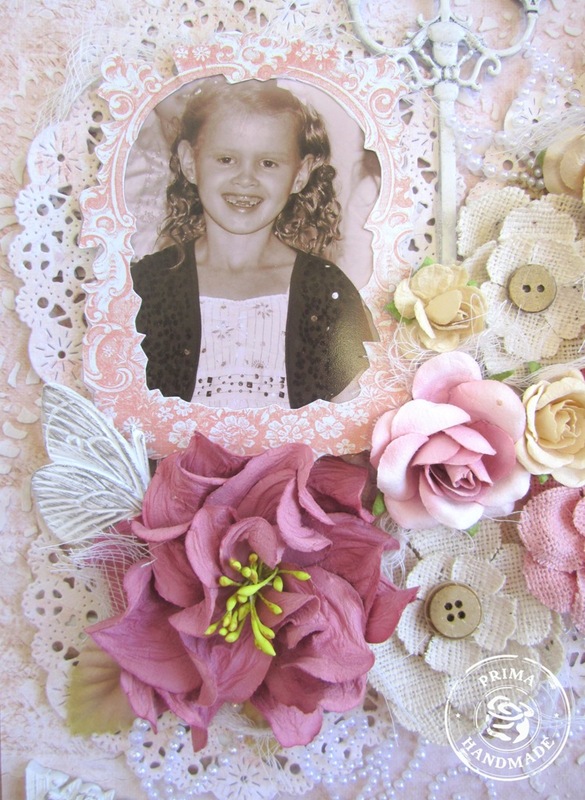 I love the spray of flowers and the photo of your little girl is just so adorable. Sooooooo pretty! That background and those blooms are amazing!